Papaya seeds Papaya cores are the seeds of papaya fruit. They contain high levels of protein-splitting enzymes that are famous for their rejuvenating effects. Papaya cores are used in folk medicine as a remedy for cirrhosis, Candida, intestinal worms, poisoning and as a natural contraceptive for men. Read about the benefits, uses in this article. The papaya is a delicious fruit that is famous for its health benefits. This super food contains enzymes, minerals and vitamins, which in particular strengthen the intestine and the immune system. The papaya is native to Mexico and other Central American countries. Papaya has become a very popular fruit in much of the world. It is full of healthy properties and its delicious aroma makes it a part of desserts and juices. Often the papaya fruit is simply eaten on its own as a delicious snack. Most people, however, remove their seeds because they do not know they can be eaten and have significant health benefits. Would you like to find out about the benefits of eating papaya cores? Like the green, immature papaya, the seeds of papaya fruits contain high levels of the proteolysis enzyme papa in, which can rid the body of parasites such as intestinal worms.Just as papa in breaks down undigested protein waste from food, it can dissolve the protective biofilm that covers the parasites and their eggs in the gut. The digestive enzymes from the papaya cores improve the intestinal flora, making the intestine less susceptible to infestation with worms and other parasites. 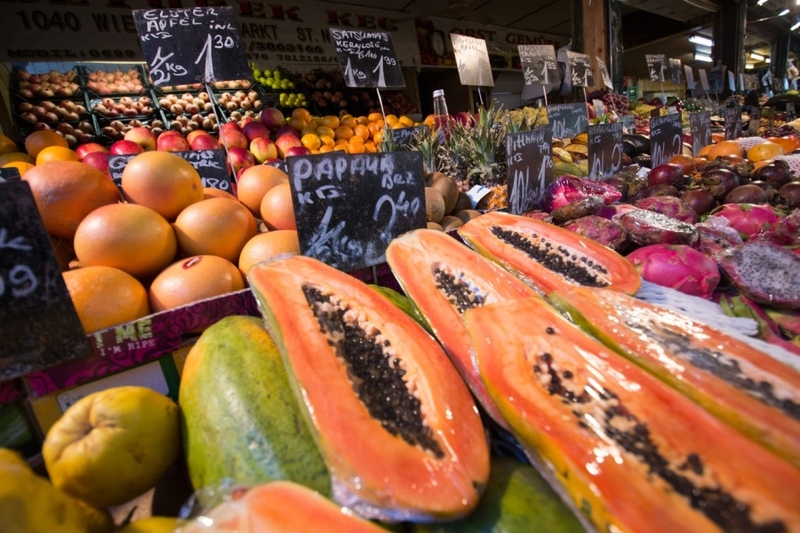 In addition to proteolysis enzymes benefits, the papaya cores contain a unique alkaloid called car pain, which has proven effective in killing parasitic worms. If you want to kill intestinal worms, take 3 x 5 papaya seeds daily. After 4 weeks, the intestinal worms should be destroyed. Cirrhosis is a disease that is usually caused by excessive alcohol consumption over many years. The liver shrinks and hardens. In this state, the organ is no longer able to remove toxins from the body, resulting in a variety of serious health problems. Papaya cores are often described as an effective natural treatment for cirrhosis and overall liver detoxification. The recommended method is to grind about ten dried seeds in a pepper mill and mix with a tablespoon of squeezed lemon or lime juice in a glass of water. Drink this papaya lemons lemon mixture twice a day for a month. Many cirrhosis patients have experienced dramatic improvements with this powerful natural remedy. However, it must be used regularly. Even people without obvious liver damage, a small daily dose of papaya cores can help boost the detoxification of the liver. Another possible use of papaya cores is combating bacterial infections and possibly even treating food poisoning caused by harmful bacteria. The seeds of the papaya have a strong antibacterial and anti-inflammatory effect on the digestive system. Scientific studies show that an extract of papaya seeds is effective against Escherichia coli, salmonella, staphylococci and other dangerous bacteria. As a natural remedy, papaya seeds should be taken at the first sign of food poisoning 3 times a day with each meal. Treatment should be continued until symptoms resolve. Many people who suffer from food poisoning often do not want to eat anything. Then it is best to eat the freshly crushed seeds with a small amount of food. Something easily digestible like the papaya fruit would be ideal. For general protection against gastrointestinal infections due to harmful bacteria, 5 to 7 papaya seeds can be used daily.